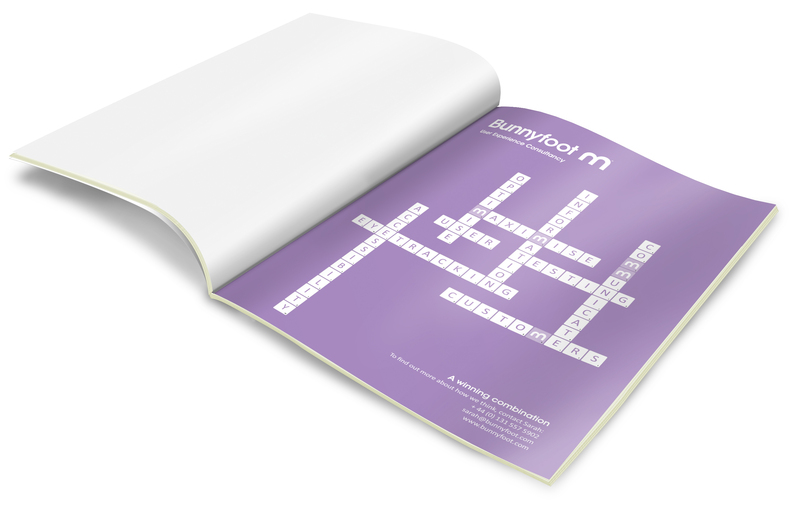 With the requirements for a rapid turnaround (2 days), I was tasked with creating one full size magazine advert for Bunnyfoot User Experience Consultancy. This was for the inside back page of Revolution Magazine and targeted at marketing and creative specialists. Three concepts were quickly sketched alongside strapline and call to action ideas for presentation to the client, Bunnyfoot’s Managing Director. 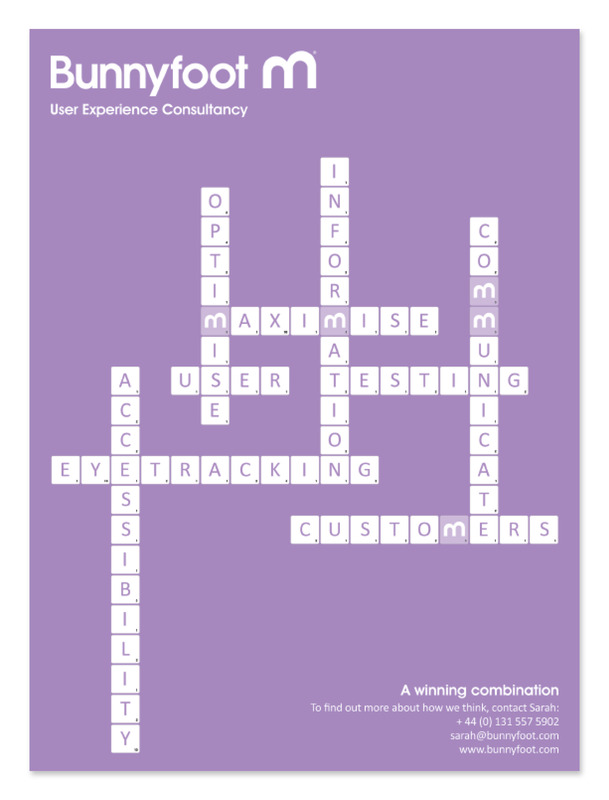 A simple, but effective scrabble concept was selected – neatly combining many of the key words and phrases frequently used by the business, with the ‘m’ letterform from the logo taking centre stage in most words.